Senate Bill 1238 would would allow individuals with concealed-weapons permits to carry guns at churches and other religious institutions that share property with schools. A controversial gun-rights proposal that was sidetracked last year in the wake of the mass shooting at a Broward County high school started moving in the Senate on Monday. 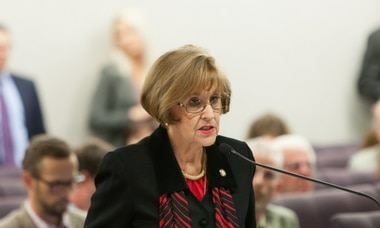 Voting 4-2 along party lines, the Senate Judiciary Committee backed a measure (Senate Bill 1238) that would allow individuals with concealed-weapons permits to carry guns at churches and other religious institutions that share property with schools. Florida law allows religious facilities to be open to people who have concealed-weapons licenses and are armed. However, state law does not automatically allow people with concealed-weapons licenses to possess firearms on private or public school campuses. Opponents of the measure, including members of the gun-control advocacy group Moms Demand Action, argue that the proposal seeks to make any religious institution exempt from state firearms laws. The proposal, backed by the National Rifle Association, comes as lawmakers consider allowing teachers to serve as armed “guardians” at schools. Lawmakers last year created the school guardian program, which allows school personnel whose main duties are outside the classroom to bring their guns to schools, if sheriffs and school districts sign off on the program. The measure allows leaders of a church, synagogue, or other religious institution to authorize and establish rules for a person who has a license to carry a concealed firearm when on property it owns, rents or is otherwise lawfully using. 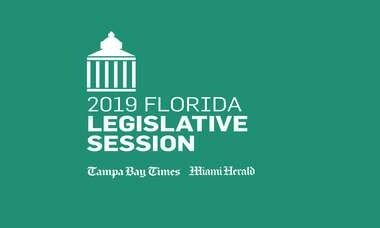 A similar effort stalled a year ago, reaching the Senate floor just as lawmakers’ attention shifted to the Feb. 14 mass shooting at Marjory Stoneman Douglas High School in Parkland.